Providing you the best range of openvox ip phones and openvox ip phone with effective & timely delivery. 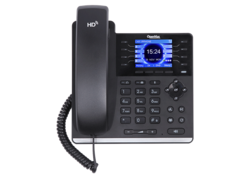 The new C200 color screen IP Phone is a high-end enterprise desktop phone which comes with intelligent LCD to increase enterprise users' productivity at a cost-effective price. C200 inherits all features from enterprise phones, such as HD voice in handset, headset, and full-duplex speakerphone modes, PoE, Fast/Gigabit Ethernet, QoS, secure transmission, auto-provisioning, and more. In order to help some users who are interested to read every detail of the product, this user manual is provided as a user's reference guide. Still, the document might not be up to date with the newly release software, so please kindly download updated the latest user manual from website, or contact with support if you have any question using C200. The new C401 color screen IP Phone is a high-end enterprise desktop phone which comes with intelligent LCD the DSS Key-mapping to increase enterprise users' productivity at a cost-effective price. The DSS key-mapping is designed with intelligence to support dynamic usage to substitute expansion modules. There are 7 DSS keys corresponded to the color LCD display to provide dynamic Line/DSS/BLF functions up to four pages at virtualized total 28 DSS keys. User may configure/customize each DSS key in each page. Every DSS key has a LED indication in green, red, and yellow colors to reflect the key state. A page shortcut button is also designed to allow user to quickly switch between pages. C401 is the most economic choice for SMB office and enterprise supervisors. 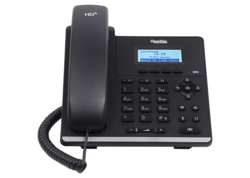 C401 inherits all features from enterprise phones, such as HD voice in handset, headset, and full-duplex speakerphone modes, PoE, Fast/Gigabit Ethernet, QoS, secure transmission, auto-provisioning, and more. C401is a great office productivity appliance for enterprise users.The old DSS key label is inconvenient and not environmental friendly.C401's intelligent LCD the DSS Key-mapping provides users the flexibility to change DSS key definition and display through easy configuration.Meanwhile, with its intelligent design of the DSS key, it can be multiplied as expansion modules to save space and cost. C401 will provide the best user experience to advance enterprise users." In order to help some users who are interested to read every detail of the product, this user manual is provided as a user's reference guide. Still, the document might not be up to date with the newly release software, so please kindly download updated the latest user manual from website, or contact with support if you have any question using C401.